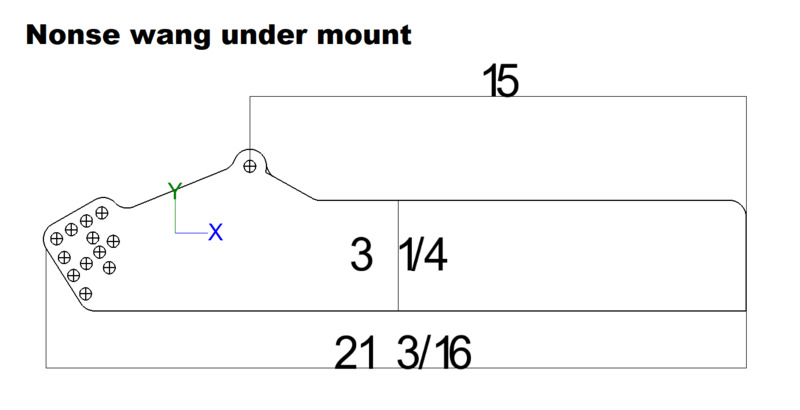 How does mounting height affect performance? 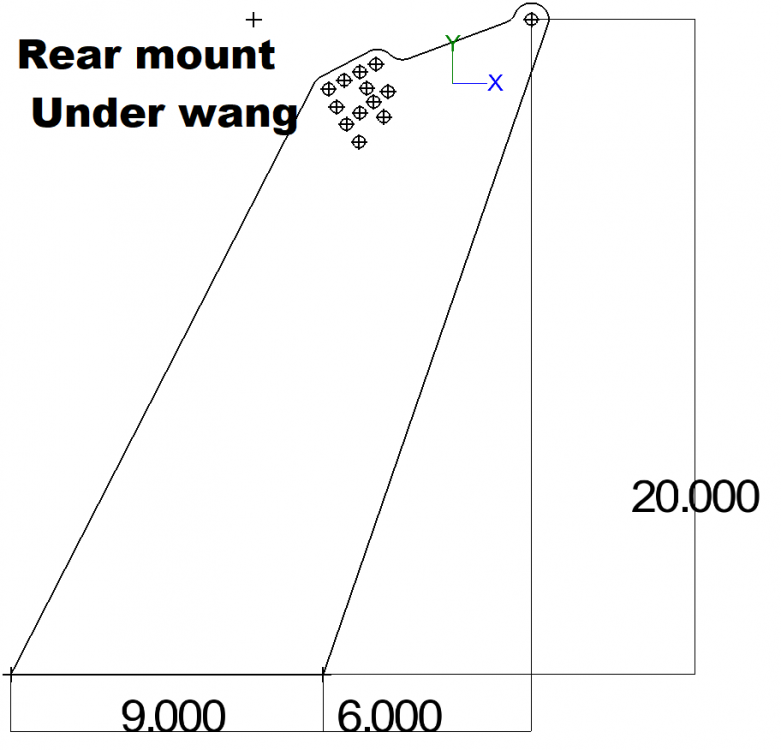 On a fastback style car (lowered 280zx) how high should it be mounted? Should it extend behind the rear in a 45ish angle? I'm not an expert, but you want it in clean air. So further back and higher is better for the wing. Air coming off the top of the car is going to tumble and create a low pressure area over the hatch. Adding some vortex generators to the roof can help flow over the hatch a bit so that the wing can use good air at a lower mounting point. Further back and higher is not necessarily better for the race car. The further you are from the rear axle, the more lift you add to the front. The higher you are the harder it is to make it stable and there may be issues with rules in other series. What is the weight of one of these wings? 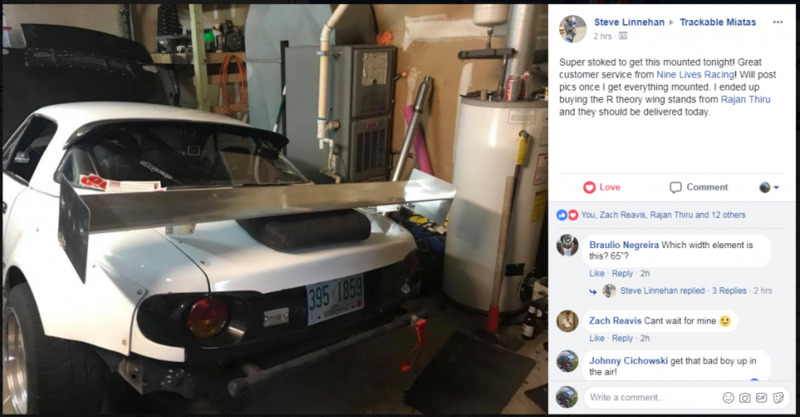 This is great, now I only need a turbo so I can reach enough speed for the wing to make sense ( 90mph is as fast as it goes at our local track ). You do triple Webers, cam, and header yet? sounds like you need all the corner speed you can get. Open air CFD is done. I'm an aero noob. Can you translate that drag figure into a reference relative to more/less drag? For example: for a given vehicle with a given h.p., how much would "x" increase in drag effect acceleration? My instinct tells me that the ratio of df to drag you are showing is very very good. I just have nothing to relate it to. 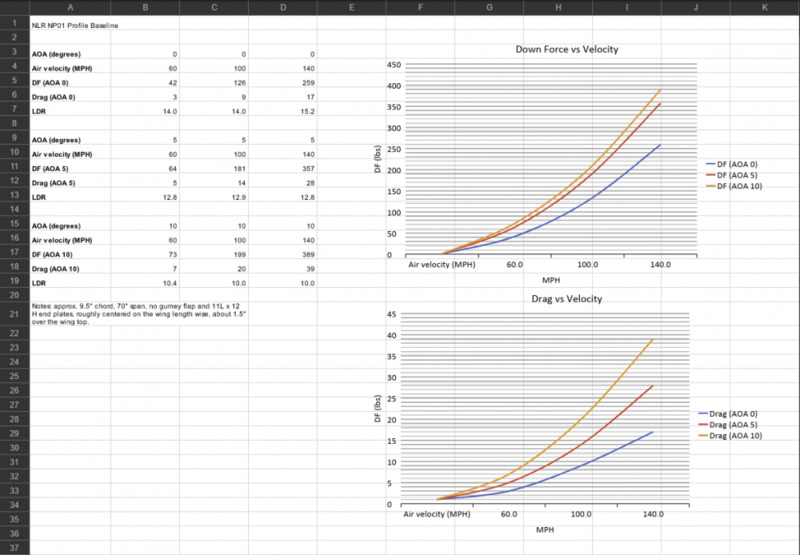 Lift (downforce) is what you want, Drag is what you don't, so the ratio of the two (L/D) is how "efficient" the wing is, or how many pounds of downforce you get for each pound of drag. He's saying they are between 10-15 (LDR) depending on the angle and speed, I can't tell you if that's particularly good or bad for this size of wing, but it seems reasonable. If you know your current top speed and horsepower you could calculate how much lower your new top speed will be, but hopefully you'll get there sooner with higher corner speeds. fantastic thank you for clarifying ABR. for whatever reason i didn't get an email alert. First of the customer wings are arriving... very exciting time for us and customers. Want! Can you show a pic of how the wing would be mounted? Is there hardware for mounting attached? For those champs curious, this is what a 69" version of the wing looks like mounted 2 feet above the back of a chopped up mk3 Supra. 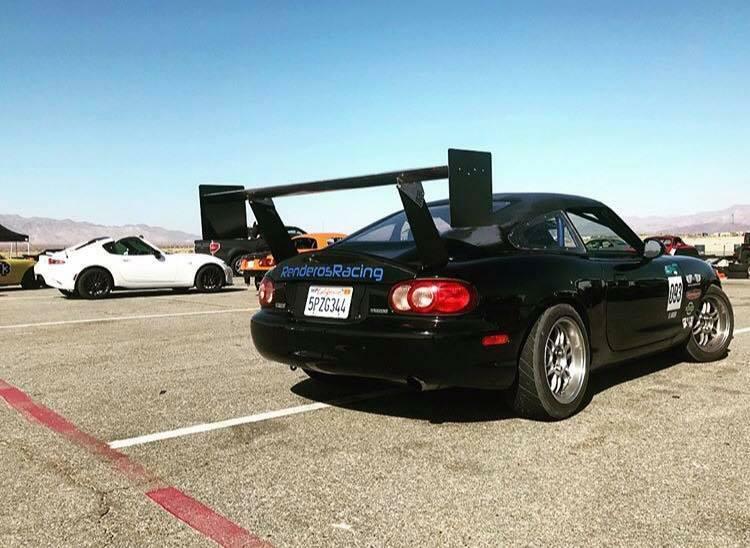 Well, I think you might be the new “big wing” winner. 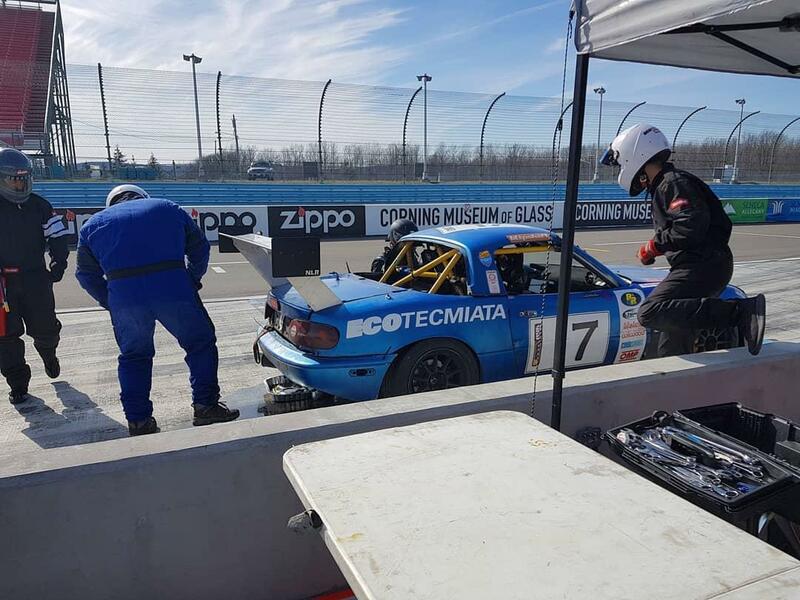 serious question: are bumper bars like your car has legal for Champcar? Is that points add? The forum went back and forth on it, no idea what the point value if any is. My understanding a long time ago was bars inside the bumper cover were allowed. Alot of teams have then. I assume if you made it points, people would just unbolt them and run with nothing. Not ideal. Wing mounts for PCI uprights are on the way. Honda/ Acura people will have bolt on options soon. Our mounts will allow the wing to be located in stock PCI location, rearward, or REar and higher. This will allow teams to adjust Drag for each track. Daytona you'll want it as low for minimum drag (more MPH), while CMP and other tight tracks you'll want it high for max downforce. 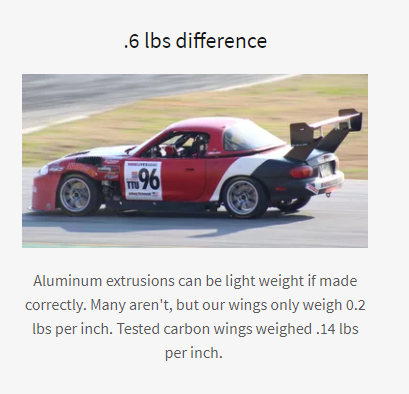 Today is the last day for the pre-order pricing on the Miata Wings. Per an email chain with Tech after claiming it was a safety concern, they didn't seem to mind or infer that it would incur a cost penalty. Although I'll confirm after tech in Charlotte this weekend. @@NineLivesJohnny, can you post a picture of the singular end plates your running on your car? we had to drill out the singular endplates to accept the Elan 4 bolt pattern. The wings come with Shipping endplates. those are made from plywood but can also be used as a template. 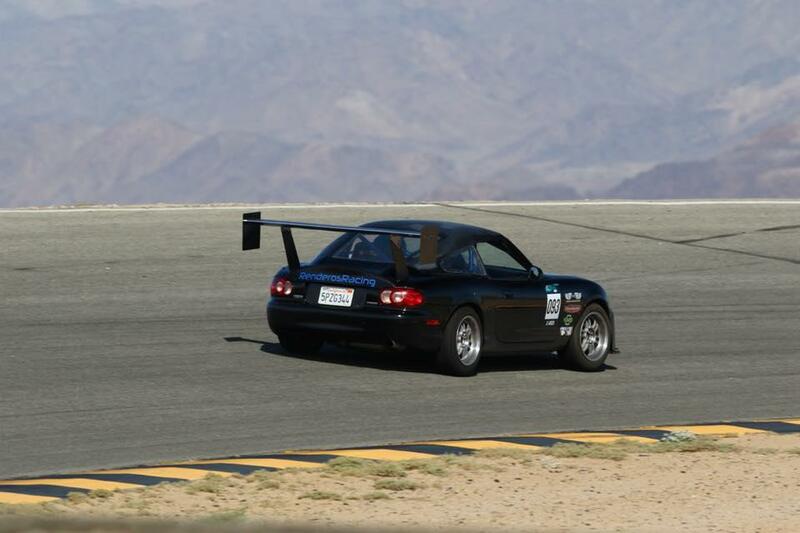 Wangs are hitting the race track where they belong. something new that might interest the champ-ers. 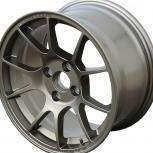 Fits our bolt patterns and stands 20" tall (rear wing stands). made from 3/16" 6061 so they will be easy to cut to shape. REal world testing is best testing. Well well well. That 9 lives racing wing Johnny Cichowski makes is pretty amazing. The car used to always be super tail happy. Now it’s actually a bit too much understeer. Okay I mean like a lot. My front aero isn’t good enough. So that is my next step. But this wing is amazing. Got me a killer time. Got me 2nd place while using federal rsrr tires. 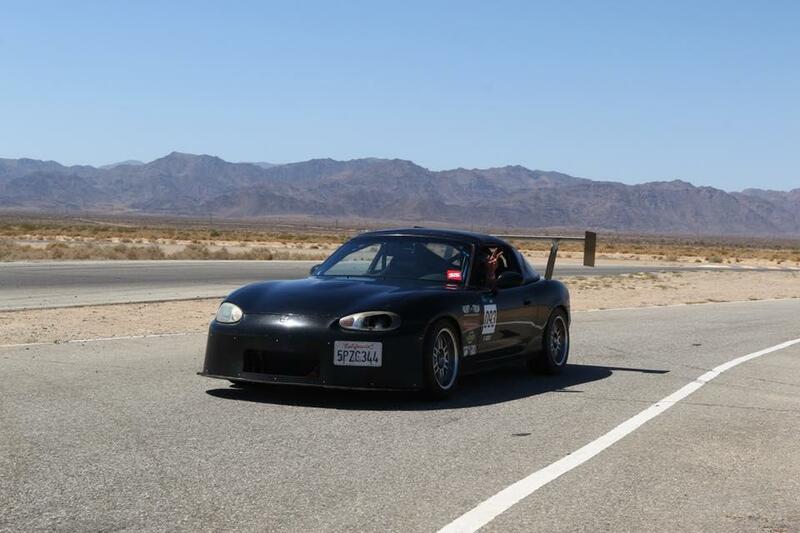 First place has a better set up car with nt01’s and 40 less hp. Great driver he is. we now have options for Acura and honda cars. 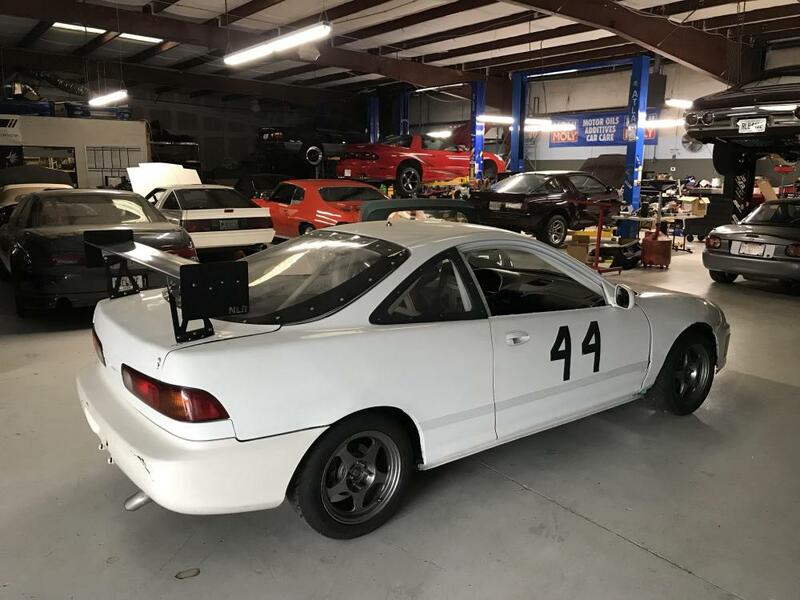 What airfoil is this wing made with? Is that a secret sauce question or a legit one? I am asking because I want to run the numbers for my installation, this is an attractive price versus having to make another wing myself, but I want to know how it will behave. Id be happy to share my results if that makes any difference.